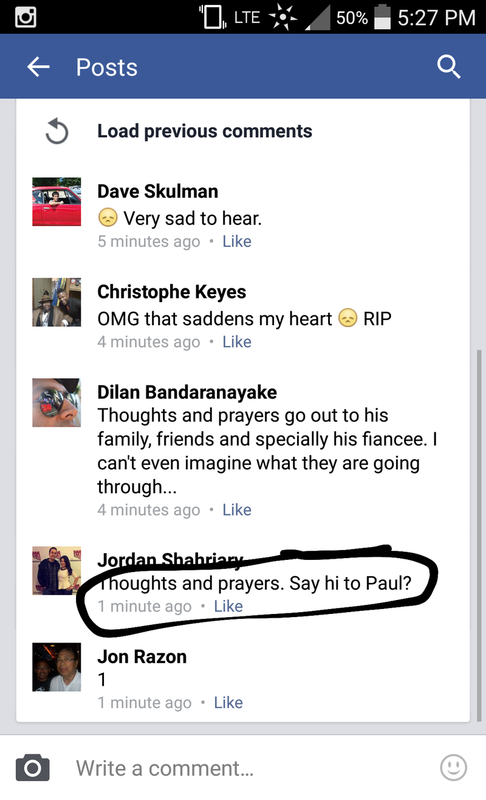 After finding out a member of a car group I’m part of had been killed in an accident, one member made the above comment. I’m not sure why, but it so rubs me the wrong way. So detracts from the gravity of this situation.